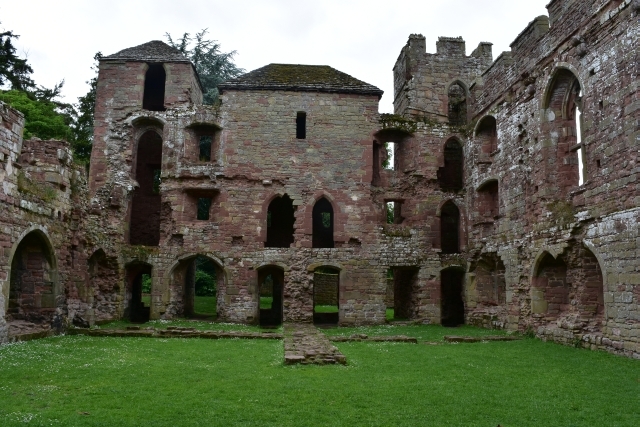 Acton Burnell Castle: A haunted, romantic ruin where parliament sat. Hidden away in the Shropshire countryside, a few miles south of Shrewsbury is the romantic, ruined Acton Burnell Castle. It’s not really a castle, more a fortified house, but when you see the large windows you start to question even that bit of information. Is this a building only designed to impress? What you see isn’t the whole of Acton Burnell, as the remaining part standing today is only the private self-contained apartments. 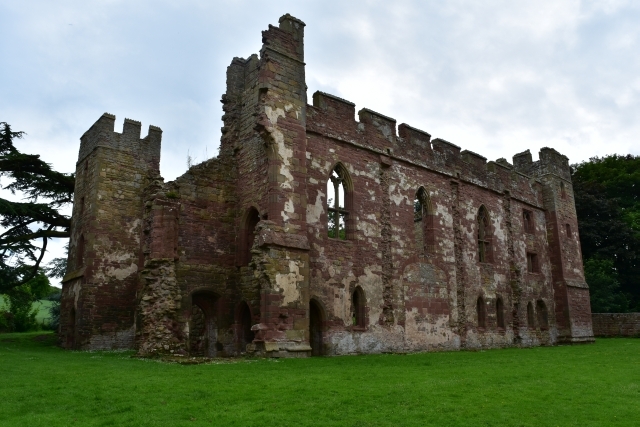 Once upon a time, though, Acton Burnell was a very grand building that housed King Edward I and his retinue, soldiers, and advisers a number of times. There would have been a great hall, rooms for guests and retainers, kitchens and bake houses to feed everyone, and stables. There even may have been a curtain wall and moat surrounding the site. The Burnell family had been unexceptional Shropshire land owners from the 1180’s, but Robert Burnell changed all that when he entered royal service as clerk, chaplin, and chief advisor to Prince Edward, the eldest son of King Henry III, beginning a relationship that would continue for more than thirty years. In 1272 Edward was crowned King Edward I and two years later Robert Burnell was made Chancellor of England. Three years after that he also became Bishop of Bath and Wells. During this period he became very wealthy and started buying land around his birthplace of Acton in Shropshire. In the late 13th century he built Acton Burnell Castle in lovely local red sandstone. Permission was granted from the King to fortify and crenulate in 1284. The hub of castle life would have been the hall on the first floor. There were once steps leading straight through the eastern entrance and into the hall.. At the west end and on the first and second floors were Robert Burnell’s private rooms. Spiral stairs in the south western turret led up to the top for fine views across the surrounding countryside and to watch the hunting. The ground floor would have been used for storage and accommodation for household officials and servants. 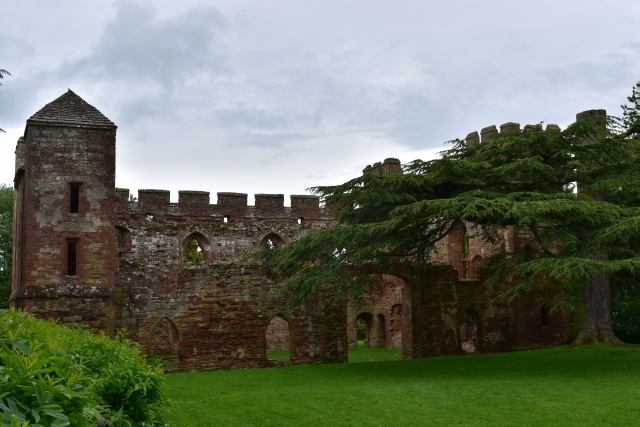 Acton Burnell was a regular haunt for the king as battles with the Welsh often brought him to Shropshire. Twice, Edward even held parliament at the castle. The first, in 1283, is believed to be the first time Lords and Commons (or Commoners) both attended parliament with King Edward I, and to this day we have the House of Lords and the House of Commons within the parliamentary buildings in Westminster, London. At the time Commons were possibly elected, non-titled representatives for particular areas of England. The second parliament was held here in 1285, and from these meetings a new law to protect creditors, known as the Statute of Acton Burnell, was passed. 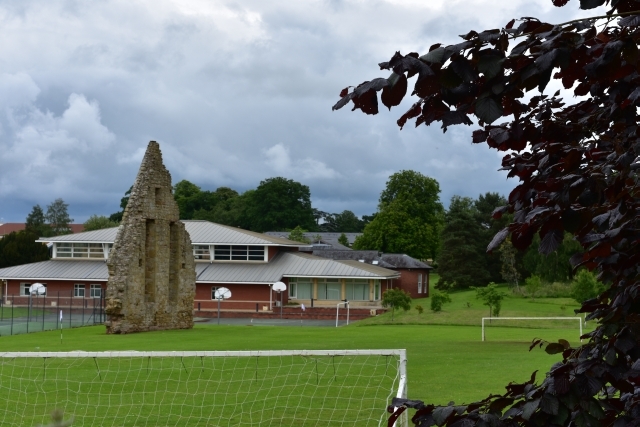 It is believed the only building large enough to hold these parliaments in was the tithe barn, of which only a wall remains in a school playing field beyond the castle grounds. Upon Robert Burnell’s death in 1292 the castle passed down through the family line until it was eventually owned by the Baronial Lovels of Titchmarsh family. They didn’t use the castle and by 1420 it had sadly been abandoned and allowed to decay. Therefore, only a very few modifications have been made to the building since the early 15th century. 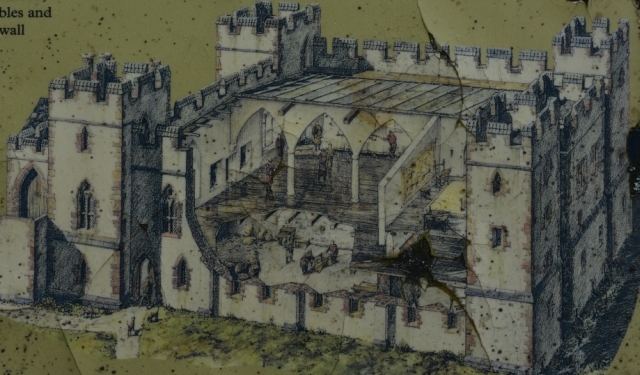 Two of these modifications include its use as a barn, for which a new door way was cut into the walls, and one of the towers had a pyramid style roof added in order to be used as a dove cote. We all love a good haunted castle story and it appears Acton Burnell Castle does have its own ghost. If you’re lucky and it's quiet when you visit, you may see a misty faced young girl dressed in white lace wandering around the site making scratching noises. It would make a great spookey evening out, as the castle is accessed through a small wood and surrounded by trees. This isn’t the only ghostly story in Acton Burnell, as the adjacent Acton Burnell Hall, which was built in the 18th century, has also had a ghost appear in one of the bedrooms and announce that “Mass is at eight o’clock”. There is also the folk tale of demonic frogs in Frog Well, but we’ll let you look up that one. Finally, Robert Burnell didn’t only build the castle, but used his wealth and influence to build the attractive St. Mary’s Church which is next to the castle and also worth a visit. 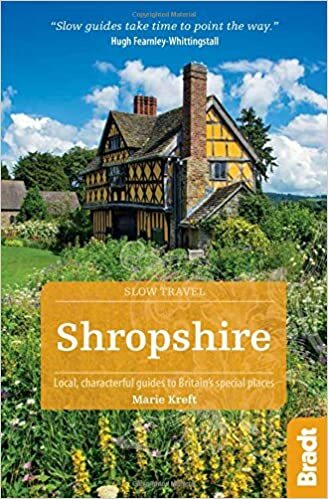 If you have enjoyed reading about Acton Burnell Castle and look for other ideas for days out, then please click here to explore our Shropshire page.